Property sales: Our team of sales professionals are all highly experienced Award Winning Agents who work as a team and in your best interests at all times. Platinum Agents utilise outstanding systems and procedures along with innovative marketing plans that ensure your property gets sold on time. We specialise in all areas of residential and commercial. Property management: Our Asset Management Team are all experienced and have an abundance of knowledge. We work closely with you, ensuring you are kept up to date with market conditions, that your property is kept in excellent condition and to ensure you receive the highest rent on time, every time. 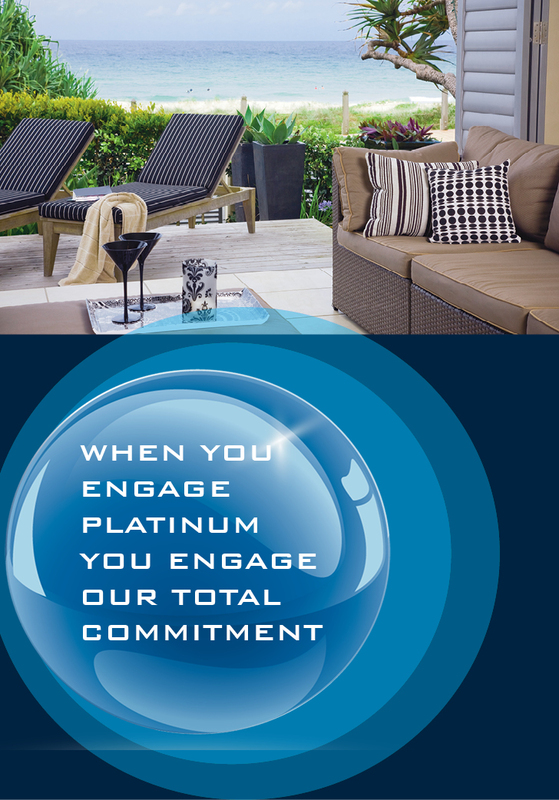 At Platinum we work with you to protect your capital growth whilst securing the greatest returns on investment for you. Property maintenance: At Platinum we have our own in house maintenance people, who will look after your investment. Platinum maintenance people are all qualified professionals, reliable and very competitively priced. Finance: Platinum have formed close relationships with a number of financiers who we can recommend to our clients. Our financiers are available to you 7 days a week. Investment advice: Over almost a decade and a half, we have assisted large numbers of investors to enter the investment market. We provide an insight into current market conditions, capital growth and returns on investment. Settlement advice: Platinum works in partnership with a number of settlement agencies that we will recommend to our clients. Our settlement agencies offer great service and often advice on legal matters, should they arise. Project Sales & Marketing: Our Project Management Team offer a unique and strategic approach to PROJECT SALES & MARKETING. Our specialist team handles multi unit projects from 3 - 300 unit sites in sales as well as off the plan plus land subdivisions.